FilmLand Empire: My Two Cents On £30. Should Journalists/Bloggers Have To Pay To Cover A Cultural Event? Today a seemingly innocent e-mail received by all of those who had a press pass at the London Film Festival last year was the start of a Twitter storm, the sort that leaves casual outsiders utterly baffled. Today has been an unpleasant day for so many reasons, and the snarks and smugness from many during the debate that took place meant it was unpalatable. So here is my humble opinion on the whole story, which opens up a much larger debate; should journalists/bloggers have to pay to cover cultural events? 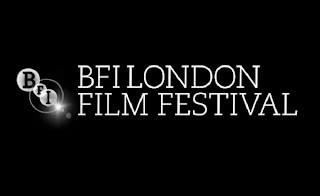 The BFI has announced that it was to charge a fee of £30 + VAT to each press pass holders at this year's festival. To give it a bit of context, last year a press pass gave you access to 2 weeks worth of press screenings prior to the festival at the BFI, access to weekday daytime screenings, and the chance to apply for tickets for week-end and evening screenings during the festival, as well as access to a small press room with free chocolates and coffee. The fee comes with the promise of even more press screenings, since they are moving to that multiplex hellhole that is the Cineworld Shaftesbury Avenue, a cinema even rats refuse to patronise. Well it still leaves me with a bad taste in the mouth, and the horrible smugness of smirks witnessed on Twitter today were very sad. I must specify that I have zero sense of self-entitlement. When I started my blog 2 years ago, I expected to quit after 3 posts, so it was a small victory that I have carried on for so long. And then when I first got invited to press screenings, to film festivals, I was flabbergasted as I would never have thought I was entitled to it as a mere blogger. But then film PR's, especially for smaller films, have long understood that any exposure they can get, even from a small blog and with the added reach of a linked twitter account, made it worth their while, so it is pretty much a two way street, not just a privilege, there is no such thing as a free lunch. However I have since become a little tired how some PR companies (not all! ), treat us, bloggers, merely like unpaid PR external aides. I am grateful for screening invitations and screeners, but they do not offer them out of the kindness of their heart, this is business. I also completely understand that just because, like anybody else, I can set up a film blog, that does not make me a professional critic. I do not make a penny out of it, and unlike those X-factor contestants, I do not believe that just because it is your dream to do a particular job, then you should automatically be entitled to doing it, and living off it. Only a few lucky ones manage in such a sought-after profession. Besides, I must add that I am pretty content with my dayjob, which offers me the kind of wage and security I could not only dream of if I was a film critic, and I see blogging as an entertaining activity on the side. Unlike popular belief, not all of us film bloggers are frustrated professional film critics wannabes. I hate to be smug too but then since it has been open season on us, film bloggers, it is my turn: I can guarantee you that most of us, film bloggers, earn a lot more with our day jobs than film critics. It is a complicated matter as, nevertheless, you do spend quite an awful lot of time writing, as pleasant as it is, and offering some publicity to film companies/film festivals out of your own free time. But then if you don't like it, don't do it I hear you say. Fair point. Yes the BFI is a charity, but can you imagine a car manufacturer charging to test their cars, Apple charging for tech journalists to test their products, publishing companies charging to review their books, art galleries charging a fee to attend their openings? I cannot think of anywhere else where a business or even a charity would charge for the privilege of covering their events. And if they cannot afford to open up their press pass to lots of bloggers then they should just tighten up the number of passes they offer, simple as that. Nobody is forcing them to accept us, vilified bloggers. I absolutely love the BFI and the London Film Festival, and their staff are great, they have managed to expand the festival and make it a vibrant and informal experience for us, which I respect them for. And I am actually a "Champion" at the BFI, a level of membership which costs a fortune, so I cannot be accused of not supporting them! But I do have the right to slightly disagree with this new development, even if I can understand why they are doing it, and we really must steer away from the binary love/hate extreme attitude witnessed on Twitter. Unsure what to think after receiving this e-mail, I vented my slight frustration on Twitter. And I was not prepared for the torrent of smirks and smugness from established "journalists". Which is laughable when you think about how more and more of them are being laid out nowadays, so the smugness might be short lived. I was also disappointed by the level of negativity from some people which I admire. I always enjoy a bit of good natured banter and arguing, but the minority of us who protested got subjected to some unfair comments. Best example: the usually lovely Hannah McGill, from my favourite film magazine Sight & Sound, tweeted: "Oh little critics squeaking about being charged for a press pass... do grow up. LFF is not a big free present because you have a blog". Such a patronising and snarky tone! On a day when The Independent sacked all of its Arts contributor, I would not feel so smug and confident, if I was her. On further tweets to me, she has made it absolutely clear how little she cared about other writers (or strangers as she called them) and the "film writing community" which she said does not exist. Who is she, the Margaret Thatcher of film critics? There is no such thing as society, let alone a community, it's all for one? I could not disagree more with that vision. I don't care how sad it is, I have met a lot of people through Twitter, which I then met in person at various screenings/festivals and a few of them have since become my friends. And with our shared experience of those screenings and festival, along with our shared interest, I do believe there is a film writing community indeed, even if some feel to grand to be part of it. Besides, why be on Twitter then? Just to spew off links to your own writing? Elsewhere, we were deemed entitled, ignorant because other film festivals also charge a fee... So what, if wrongness has already happened then you can't argue against it, it's too late? And as I said before, Cannes does NOT charge for its pass, so again, a nice patronising tone... Worse, I read another tweet about us being "unpaid idiot bloggers". A really sad day on twitter, with some descending to the level of trollness usually witnessed with Beliebers. Besides, most of us film bloggers are not able to attend all the press screenings if any, and often have to fork out a fortune to buy tickets for public screenings which we then diligently review, as I do. Also, as seen in so many industries before, that sort of charge, once introduced, has a nasty habit of growing exponentially. How long will it take before it's £50? £100? Then film critics, especially those on a low salary as I sadly suspect most of them are, might begin grumbling too. If anything, the whole sad affair has confirmed how glad I am to be completely free to do what I want with my blog, I am no slave of any PR company or Film Festival. I have met a whole lot of lovely people within the film writing business (paid AND unpaid ones), some I even consider as friends, but that kind of attitude has shown that I am very happy not to fully belong to that industry. I have a decent, not dazzling number of faithful readers, I get some great feedback on Twitter, and it suits me fine. What is your take on this? I am particularly interested in comments from those who do not belong to the film blogosphere, to see how it comes across to external people. I think it's ironic that film critics based in London can accuse film bloggers of being entitled, when their only expense for LFF will be the £30 fee. What about people from outside of London? We have to buy train tickets, season tickets for the underground, etc...the cost of covering the festival is already high. Not to mention that I need to take holiday from work to cover one of the weeks. One comment. Yep, the LFF would certainly be lost without this level of publicity. I would have left this alone as the furious argument of someone who could do with a few years more around the track before weighing in on a topic like this - and please don't be offended, we've all got to start somewhere - but there were a few of displays of such ignorance that I felt compelled to address them. 1) "On a day when The Independent sacked all of its Arts contributor [sic], I would not feel so smug and confident, if I was [Hannah McGill]." Have you considered why The Independent has sacked all of its arts contributors? There's nothing wrong with the opportunity the internet has presented to those with voices but no platform. However, it has also legitimised a kind of self-declared amateur "expert", whose role has been to imply - if not always directly - that anyone with an interest in cinema is as qualified to deliver criticism as a trained, experienced professional. That simply isn't true. Everyone's entitled to an opinion, but you have to misunderstand criticism and its role to think all opinion is created equal. Sadly, most do misunderstand - editors included, sometimes - and it's not hard to draw a direct correlation between the rise of the amateur "expert" and the fall of the professional critic. And contrary to your assertion, true criticism most definitely isn't about "offering some publicity" to film companies. Nor is it about evisceration. Criticism is, and should be, a constant strive to apply understanding to art. It's a futile quest, but a necessary one. And, like many other such lofty quests, it's one in which experience counts for everything. It's true that many professionals dismiss hobbyists and inexperienced amateurs out of turn - but consider that an extreme reaction to how the internet has had this effect. Make no mistake, you're not the "little guys" anymore. You're the supermarket behemoth that has gained control of the market, and the farmers are starting to feel the pinch. And to labour the metaphor, the product itself is not your speciality. Many, inexperienced voices aren't worth nearly as much as fewer, experienced ones. In an ideal world, those many voices would gain more experience and become great critical arbiters. There'd be no problem if the first voices weren't drowning out the second ones. But the sacking of the Sindie critics is very much evidence that this is exactly what's happening. That's good for neither hobbyists nor professionals in the long term. 2) You have taken a tweet from @IncredibleSuit out of context when you refer to the phrase "unpaid idiot bloggers". It reads: "@catherinebray I suspect it's a ploy to weed out unpaid idiot bloggers. Little do they know I've been saving all year for such an occasion." It is clearly meant in jest. And even if it weren't, "unpaid" and "idiot" are two modifiers of the word that follows. You should check your self-esteem if you assume you can't have one without the other. In fact, if all unpaid bloggers were idiots, the use of that word would be redundant. And @IncredibleSuit was blogging long before he took his first professional commission. 3) "Also, as seen in so many industries before, that sort of charge, once introduced, has a nasty habit of growing exponentially. How long will it take before it's £50? £100?" Considering the highest charge I can find for a European festival sits at €60, and has done for many, many years, I'd expect any argument like this to be backed up with some pretty solid evidence. I don't see any. 4) "I can guarantee you that most of us, film bloggers, earn a lot more with our day jobs than film critics." Now who's being smug? But to set aside name-calling, has it occurred to you, if, as you say, what you do is a hobby, that most hobbies involve some kind of financial outlay? A collector can spend millions on art, thousands on stamps, hundreds (dozens?) on knitting supplies. it's easy to get complacent, but it's not anyone's responsibility to provide amateur film writers with access to anything for free. It's not anyone's responsibility to provide professional film writers that same access either, by the way. Access to press screenings at the LFF *is* a privilege, not a right. And it *is* the right of those offering the access to decide how it is managed. They've chosen to follow the precedent of many European film festivals by offering a fee (the cheapest I know of amongst those that charge). Not all film festivals are created equal, and the Cannes analogy falls apart in the sense that it is an industry-led event, not a public-facing one. Anyone who's tried to apply for a Cannes press pass - at any level - knows how scrutinised applications are, and how hierarchical the press list is. But you can't buy a ticket to an official premiere as an enthusiast at Cannes. They are reserved for industry guests, who come to Cannes to buy and sell films. As a public-facing festival, the LFF loses money for every press pass it grants to film enthusiasts who - and I hear this phrase a lot - are "in it for the love". Why should it matter that you write about the film after you've seen it? What I often hear, in fact, is a lot of grumbling about queues, facilities and, indeed, the films themselves. If you think that's promotion for the LFF, you need to look up that word. So yes, the LFF might have chosen to be more selective with their accreditation, but they didn't. That is for them to decide. It's very sad that the costs of a hobby might rise to make it untenable, but given the ENORMOUS outlay that organising two weeks of press screenings and another two weeks of press comps must involve, you'd have to be pretty shortsighted not to realise that a £30 charge represents only a fractional offset of costs. And given that evidence tells us that the rise of blogger accreditations has led to access issues at LFF press screenings (only a couple of years ago even the most well-attended press screening would never have been full), what you're really saying here is that, not only are you better compensated financially for *your* day job, but your access is impeding the earning potential of those for whom criticism is not a hobby but a profession, which you acknowledge is already restricted. It's simply not good enough to declare your lack of entitlement, it has to be witnessed in your actions. Complaining even fractionally about a small accreditation fee, when you've clearly demonstrated how well compensated you are, and how much what you do is sidebar entertainment rather than professional calling, is the very definition of entitlement. The underpaid pros don't seem to mind. I'd urge you to temper your ardour, and consider that, were there no press screening facility at all, amateurs and professionals alike would be forced to stump up much, much larger sums on ticket purchases to cover the festival. In that event, it might well be that only the professionals would bother. This was not a system built for hobbyists. But it is one that is adapting very slightly in order to better accommodate you - not to turn you away. Well thank you for your detailed and insightful comments, they surely gave me some food for thoughts. It seems that you either follow me on Twitter or follow a lot of common people at least so I'd be curious to know your Twitter handle. I was going to update my post to add screenshots of the torrent of abuse, smirks and jokes I have been to victim too on Twitter since I wrote that post, then decided to be the bigger man and did not go ahead. I do feel to need to answer a few of the points you raised, and feel free to reply again! First of all, I would not have bothered writing this post about the fee alone, it was more about the reaction that ensued. If you re-read my post, I spent most of it explaining why the fee was introduced, and saying I understand why it has been, than complaining about it. On Twitter or here, I have only expressed a slight disapproval of it. Yet the reactions I got as a result were completely out of proportions, what happened to nuances? Have we all been swallowed in by the all or nothing fanboy attitude? Again I weighed in the pros and cons, and slightly disagreed in conclusion. As far as I know, only 3 people other than me took a similar measured view on Twitter. Yet we got a torrent of abuse and snarks completely out of proportion. I surely do not think I should be the one tempering my ardour. Again, if you truly took the time to know through Twitter and my blog at least, you would know that I am the least argumentative person you'll ever meet, I shy away from tempestuous discussions and I hate unnecessary dramas. I also got plenty of positive response to my measured post through Twitter. 1) It's a very interesting point your raise. A Spanish friend told me there has been a very vocal and visible war in Spain that established critics have launched against bloggers recently and I see your point. I never said all critics are equal. I don't see myself as an expert either, if you do follow me on Twitter or read my blog then you can't have missed that I always go on about how I don't see me as a pro or an expert, and self-depreciation of my skills is something I do a lot. Hannah McGill accused me of judging me without knowing her, well you are doing the same to me, and so did she. I read a lot of amateur blogs but then I have a subscription to both Sight & Sound and Les Cahiers du Cinema as I value the opinion, insight and knowledge of their critics. And if media outlets are happy getting some free content from bloggers (as a sort of unpaid work experience, which is despicable) and let real experts go then it's really sad and I'm against it. But then critics going after us are targeting the wrong enemy. As for free publicity well there is still a level of exposure being offered, no matter how minimal. But I never said criticism is only about free publicity. 2) My self-esteem is going very well, thank you very much and thanks for clarifying that it was meant as a jest. It is not always easy to perceive on Twitter. And may I refer you back to Hannah's original tweet. It was spiteful and patronising needlessly so, as I pointed out to her. 4) I was being smug, purposefully so, and I explained why. Many other bloggers and I are sick and tired of the patronising attitude and comments we get from established critics, not having a clue what we might be doing elsewhere. Yes a hobby involves costs, which is why I am happy to spend a small fortune to fund my yearly trip to the Cannes film fest. Nobody says I have to go, and I am not complaining about the cost, as it's my decision, and I don't expect anything in return, apart from the joy I get of being there and sharing my experiences with others. And I always get some great feedback from my Cannes tweets and posts, which is a sufficient reward. I do not try to pitch my report to any outlet, I am happy the way things are. And yes I know full well how Cannes work, I have been many, many times. Even with my pass, I have to fight for everything there and it's part of the fun, I don't feel entitled to anything, just the same way as I don't feel entitled to anything at the LFF, in fact, I was flabbergasted when I applied in 2011 and got granted a pass. The grumbling about the LFF from the press is not all coming from bloggers, again we need to stop that sweeping generalisation. And writing about a festival, whether in good terms or not, means to offer it some exposure no matter what, and no matter how small. It is very simplistic to say that just because some might write negatively about the festival, writing about it is not a promotion. It's not ALL that it is about but part of it is. Again, read my post. I kept saying I understood why they were going ahead with the charge. As for access to screenings, I can only talk for myself but I did not go to a single screening prior to the festival because I was at work, and barely a few during, on top of borrowing a few screeners. Most of the films I wrote about I bought the tickets for. There is nothing in my writing anywhere in my blog or Twitter that has shown a sense of self-entitlement. I have only ever been measured in my writing, so I do not think you have read my blog or followed me on Twitter for very long. I am disappointed how the slight disapproval I have expressed has lead to so much negativity and downright attacks. In my exchange with Hannah, I was very measured, trying to bring in some much needed humour but all I got from her was hostility, and patronising and snarky comments. Then she blocked me while carrying making fun of me with others, as witnessed on Twitter. Now who needs to temper their ardour? As for you, I'm afraid you seem to have completely misjudged me. Ardour, ignorance, entitlement... These were all strong words which no justification, in anything I have ever written or tweeted, and I wish you could speak to the bloggers and critics I have met in person. A respected writer whose name I won't disclose as I don't want to drag him into that tweeted I was the nicest (and funniest) person he had met in the film writing community. In my (extensive) twitter travels on this topic I met no professionals taking issue with the charge. It's expensable or claimable, hardly without precedent and beneficial if it eases the festival's access issues. I wouldn't have generalised otherwise. Instead, I've seen coverage of the topic only from three amateur blogs (which I'd point out are designed to cover film, not media - imagine how Inside Baseball this all is for the average reader). I hope you understood my point about the difference between LFF - a public-facing festival that lives or dies on ticket sales - and Cannes, which is an industry event first and foremost. Given what you've said about how you used your accreditation last year, the question is who exactly are you championing here? If, as you say, most of the blog press (which I think I've reasonably established are the loudest voices on this topic) can't make many press screenings and cover through paid tickets during the festival, why even accredit at all? I don't think that's true by and large - I think a lot of them are going to the press screenings, as evidenced by the access issues they've faced in recent years. My broader point about this charge is: if this is a hobby, what you do, then I really don't think it's unreasonable to expect it comes with cost. You demonstrate quite readily that you spend money not just on the hobby itself but on the LFF. So when you combine the (however small) criticism of it with the fact that most professionals I've seen reaction from have no concern about it at all, it's really no wonder they might react with surprise to concern from hobbyists. As for Hannah, who seems to be your bete noire in this whole debate, I'd suggest her experience running the Edinburgh Film Festival for several years might give her a better perspective not just on the tremendous costs involved in running a programme of press accreditation and industry screenings, but on the limited value a large number of hobbyist outlets adds to coverage of the festival as weighed against how much space and admin they take up in that screening programme. With all due respect, you mentioned you've run this site for two years, and your pageviews counter on the right side of the page (which seems to count every impression on every page of your blog), reads a little over a quarter of a million. That suggests that, in the grand scheme of the internet, on which even the biggest sites, generating in excess of that number of pageviews on a single page in a single hour struggle to get broad exposure outside of a very specific, already invested audience, there's a very limited audience for your writing. There's nothing wrong with that, of course, and when you add up the pageview counts of hundreds of blogs, it might indicate a significant number as measured against smaller individual outlets. Now if you consider that to accommodate criticism from one of the smaller individual outlets (which I'll say, for argument's sake is a professional establishment, though there are certainly amateur blogs that have reached such a threshold) they require one, maybe two press passes, but that to accommodate the hundreds of smaller sites, they require hundreds of press passes (and all the materials, seats and refreshments that come with that), you start to see where the value of your "free publicity" might not actually be worth the supplemental cost involved in accommodating it. I do wish you would reveal who you are, although I can appreciate there might be some reasons why you prefer no to. Would you at least let me know your identity by DM on Twitter, or by e-mail through the Contact us button? I would obviously not reveal it publicly, but it would give some context to your comments. I must insist, I am the least entitled person you will ever meet, and there is nothing in my blog, in my post or on Twitter which would warrant such an accusation. Again, if you had followed me on Twitter or read some of my posts, you would know that. I refer you to my Cannes diaries in particular where I spend my time in a perennial state of surprise for being allowed to be at the festival, and every time I manage to get into a screening. And as I said before, I was flabbergasted when I got accredited by the LFF in the first place. The post above is not about me complaining about my own position, more of a general reflection on whether journalist/bloggers should have to pay to cover an event. Everybody else would have read seems to have understood it, and I was quoted several times on Facebook and Twitter for having a weighed in opinion. I am completely transparent about the pageviews I get, which is why I publish them. And you are absolutely right, in my own case, given my pageview rate and the minimal exposure I offer to the festival, with my limited audience, compared to the admin cost of dealing with my accreditation, then the festival is indeed doing me a favour and I cost them money. I would go further and say that this fee is very democratic in the sense that they charge the same for the smallest blogs such as mine as for the biggest outlets. I disagree however about the reaction from many established journalists in regard to this small criticism, small as you pointed out yourself. You seem to contradict yourself by the way. You claim film bloggers were the loudest opponents, yet you acknowledge that indeed, only 3 bloggers expressed various levels of disagreement towards it. I repeat, only 3 of us. As for Hannah, I am well aware of her previous work at EIFF etc... And this is no personal vendetta. I always try to deflect conflicts on Twitter. But I must repeat myself, while I was courteous in my disagreement (as many have pointed out on Twitter), all I got from her was a sustained onslaught of sarcasm and downright hostility. She then took offence that I had called her the Margaret Thatcher of the film writing community, which I thought was an amusing description given her insistence on individualism and her negation of a sense of community among film writers. She then got more abusive and blocked me so that I could not reply, carrying on making fun on me with others on Twitter. Again, not quite the measured behaviour I expect from a professional. Three bloggers wrote about it. On film blogs, not media blogs. Many, many more weighed in on Twitter. Let's not split hairs. Though, for the record, I'll say it once more: criticism isn't free publicity. All publicity comes with cost, even if it isn't passed on to the journalist. It might mitigate cost when compared against, say, advertising rates for the same page space (in fact, PR reports, you might not know, try to establish a "value" for editorial space based on the equivalent space when sold as advertising, a value which is generally measured against how much it cost in terms of flights, hotels, screening rooms, sandwiches, drinks etc. etc. etc to achieve it) but the key differentiator is this: in advertising, the person buying it controls the message. In editorial, the message is in the hands of the writer. You undervalue what you do if you think the fact that you're invited to a screening in any way affects how you rule on the film that you've seen. I'm sure you wouldn't argue that you do. And if you think that's not the case, perhaps you're doing a disservice to your readers. You don't have to accept any screening invite, just as you don't have to accept any cost involved in covering a film festival. But you'll note: there are films that don't screen to critics before release. Have you noticed how many of them still go out to the first public screening and pay for a ticket? The number is not insignificant amongst the pro crowd. Press screenings are a convenience, but without them the critics would still rule on the films. It was nice to have a debate but the prolific yet anonymous commenter above has still not revealed his identity, publicly or privately, so I will leave it to that and not publish his latest reply. Ah, the open democratisation of the Internet. Anonymity only offered as long as it suits, and commentary moderated and censured to give you the last word. So I've published your further comments, although I am concerned this is becoming dour and boring for my readers (all 3 of them). During this discussion and right from the start with my post, I've weighed in the pros and cons, I've taken on board and discussed the points your raised. But you have not given me that chance, all I got is a sustained serie of patronising and sanctimonious comments. I did say I can appreciate you might have your reasons to keep your anonymity, but look at it from my point of view: I have received some unpleasant, negative and often personal comments from an anonymous person, and it is not exactly best practice as far as the internet etiquette is concerned. I guess we will never know who you are, despite me offering you the chance to reveal your identity privately. Your victim mentality is tiring, and that you'd call me patronising and sanctimonious? Deeply hypocritical, with your "I am the only one debating properly" stance. Yet I'm the unpleasant and negative one! It's no wonder you frustrate people to the point of them blocking you. Don't feed the internet stereotypes you so actively rally against. Place value in experience, and strive to achieve your own. Engage your ignorance - as a monster to be slain only with time and great curiosity. And don't confuse playing devil's advocate with taking some imagined moral high ground. You've been just as insulting in response to me, even if you won't see it. If you don't like anonymous comments, turn that option off. I'm done.